Why do we keep stuff? Americans love to keep stuff. As the manager at a local self storage facility, this is something that I can attest to firsthand. We love to keep things that we will probably never need, or use again – but why? A recent survey asked just that , and surprisingly, 94% of the people asked had an answer. Here are the 5 top reasons that people say that they keep too much stuff….. I have a friend that has a storage unit that includes a box of size 30 jeans. He is currently a 36 inch waist. He is in his 50’s, and does not exercise. He will never need those jeans again. This one I get to some extent – Photos, awards, etc., kept in storage – but Grandma’s old tattered armchair is just going to sit there – I guess sometimes we feel that we are discarding part of our family history. A photo of grandma sitting in that armchair, might be the better thing to keep. A friend of mine has a pile of stuff stored in one corner of his garage, that he has kept for years, with the intention of selling. These items include a punch bowl set, a VHS tape rewinder, and a rooftop TV antenna .The best salesman in the world could not sell these items – ‘nuff said. This is a tough one. Some people just feel guilty discarding anything that is not complete and utter trash, even though they know that they will never ever use it. This is one of the biggest reasons that people become hoarders. This is a great one! These are new or unopened items that you have no desire to keep for yourself, but somehow think that a friend, or family member would be thrilled to receive as a gift. 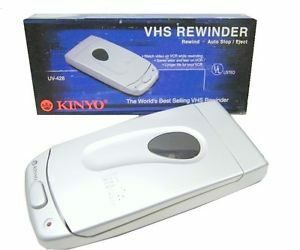 All I can say is that if you have a family member or friend, who receives a punch bowl set, or a VHS tape rewinder, as an anniversary gift , you will know what happened. This entry was posted in Uncategorized and tagged Absecon self storage facility, Absecon Storage Facility, Atlantic City self storage facility, Atlantic City Storage Facility, Egg Harbor Township self storage facility, Egg Harbor Township Storage Facility, Galloway self storage facility, Galloway Storage Facility, Linwood self storage facility, Linwood Storage Facility, Longport self storage facility, Longport Storage Facility, Mays Landing self storage facility, Mays Landing Storage Facility, Northfield self storage facility, Northfield Storage Facility, Ocean City self storage facility, Ocean City Storage Facility, Pleasantville self storage facility, Pleasantville Storage Facility, Pomona self storage facility, Pomona Storage Facility, Somers Point self storage facility, Somers Point Storage Facility, Ventnor City self storage, Ventnor City self storage facility, Ventnor self storage facility, Ventnor Storage Facility on June 17, 2016 by admin. It’s Spring! Love is in the air, along with the buzz of millions of brides making the final plans for their wedding day. Time to deal with guest lists, seating charts, floral arrangements, decorations, and so much more! Most couples don’t think of self-storage when planning a wedding, but it could be very helpful ! A self storage space can come in handy for items like decorations, centerpieces, extra tables and chairs, linens, and much more. This is a great way to keep everything organized and neatly tucked away until you set up for the big day – A one stop pick up for all of your items to be delivered to your reception hall! Your storage space could also come in handy immediately after your wedding day. Have your parents, best man or maid of honor collect your gifts from the reception, and take them to your storage space for you to sort through after the honeymoon. You may even want to consider keeping a small storage space permanently for all of your wedding mementos. Considering a climate controlled unit if you plan to store temperature sensitive items such as photographs or your wedding gown. 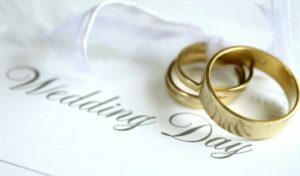 So head on over to local self storage facility, and take some of the stress out of planning your big day. See you after the honeymoon! This entry was posted in Uncategorized and tagged Absecon Storage Facility, Absecon Storage Space, Atlantic City Storage Facility, Atlantic City Storage Space, Egg Harbor Township Storage Facility, Egg Harbor Township Storage Space, Galloway Storage Facility, Galloway Storage Space, Linwood Storage Facility, Linwood Storage Space, Longport Storage Facility, Longport Storage Space, Mays Landing Storage Facility, Mays Landing Storage Space, Northfield Storage Facility, Northfield Storage Space, Ocean City Storage Facility, Ocean City Storage Space, Pleasantville Storage Facility, Pleasantville Storage Space, Pomona Storage Facility, Pomona Storage Space, Somers Point Storage Facility, Somers Point Storage Space, Ventnor Storage Facility, Ventnor Storage Space on May 12, 2016 by admin.